Congrats, you did it! Your backyard or community garden plot has survived the first freeze, and you’re ready to start harvesting a winter bounty of brassicas, greens, root veggies and more. But what are you supposed to do with all of these fresh, home-grown goodies when it feels like everyone around you is gearing up for a sugar-fueled month of indulgence? Get creative! Try incorporating local, healthy foods into your classic holiday dishes. Your stomach will thank you, and so will the environment! When thinking about your holiday dinner side dishes, try swapping out your usual ingredients for ones that pack a nutrient-rich punch. Classic mashed potatoes can be made using in-season cauliflower, turnips and parsnips, instead. With almost 80% fewer carbohydrates per cup than potatoes, vitamin-rich cauliflower is rich and creamy when mashed. Hardly any of your guests will know the difference, but their bodies will. Better yet, serve a raw veggie dish or salad. 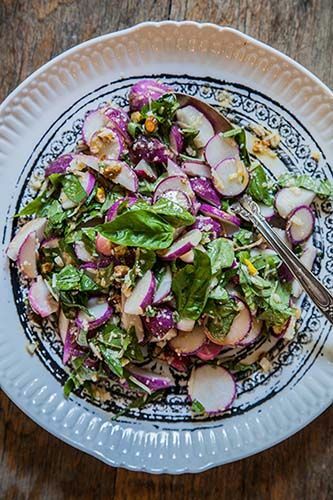 The Central Texas winter harvest provides a variety of salad-ready ingredients like arugula, cabbage, radishes, beets, spinach and mustard greens. Raw Brussels Sprouts salad will make you forget all about the mushy, boiled Brussels Sprouts of your past and provide your table with a much-needed crunchy element. Baking cookies for the holiday season? Toss out that artificial food coloring because believe it or not, your backyard garden can provide ample ingredients to make beautiful, all-natural food coloring for colorful icings and vibrant dough's. 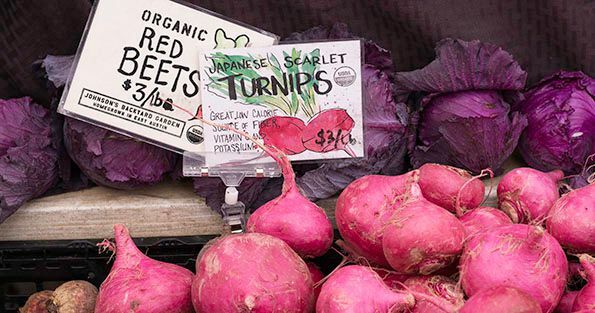 Beets, spinach, purple carrots and red cabbage are perfect for reds, greens, purples, and pinks. And it’s not too late to jazz up your Bubbe’s classic Hanukkah recipes with some local fruits and veggies! 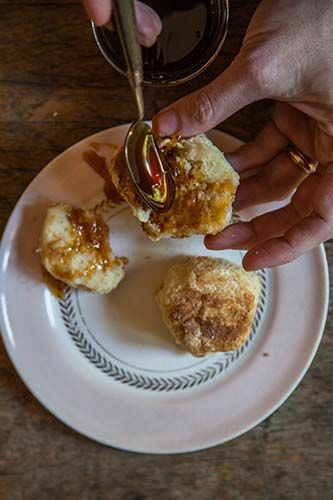 Sweet, doughy sufganiyot (jelly donuts) can be filled with Texas-grown persimmon and citrus marmalades and jams. Late-season persimmons and peak-season citruses like grapefruits and oranges can add a bright touch to a normally heavy holiday treat. On a savory note, potato latkes can be filled with all sorts of winter vegetables, like shredded carrots, winter squash and sweet potatoes. Even toppings can be made using healthier alternatives. Try swapping sour cream for Greek yogurt or even making your own local honey-sweetened applesauce. Of course, you don't have to be a farmer or gardener to enjoy fresh, local produce over the holidays. 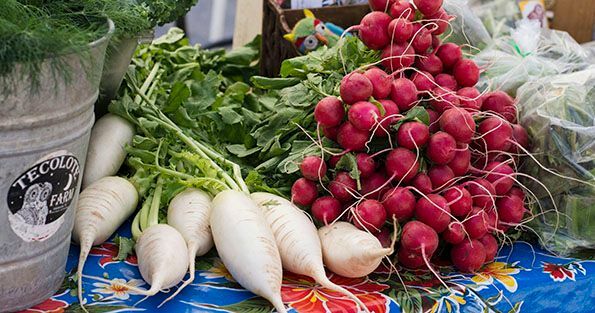 Stop by either of our weekly SFC Farmers' Market locations: Downtown and Sunset Valley. Our vendors are stocked with everything you need to make this holiday season healthy, happy and filled with good food.